Secondary education in the US can be obtained both in public schools and in private schools. International students get into a public school somewhat tricky because of the lack of citizenship or the status of a permanent resident of the country. But the doors of private schools for foreigners are open. Among the private educational institutions providing secondary education, the so-called boarding schools – which are very popular. First, the level of education in boarding schools is much higher than in ordinary, even private, not to mention public. Usually, graduates of such schools are more readily accepted in the leading universities of the country – often the training program is aimed at preparing students for admission to specific universities. Secondly, before students of boarding schools, there is no question of finding and paying for housing. This is convenient for Americans who send their children to study away from home, and even more so for foreigners. By the way, international students make up to 15% of all students of American boarding schools. on specific sciences and areas knowledge (boarding schools of Fine Arts, Math and Science). Also, some schools can accept and teach adolescents only a particular age group, for example, only from the seventh grade or from the tenth to the twelfth class and so on. There are, of course, and those in which children can go through the entire program of the secondary school, that is, from the first to the twelfth grade. In addition to the profile, an important issue in choosing a suitable boarding school is its location. In educational institutions located in or near large cities, the number of vacant seats may be limited. Yes, and tuition fees and accommodation here will be higher. It is also worthwhile to pay attention to other indicators: the average graders’ ball for the SAT, the total number of students, the percentage of students admitted to school from among all those who submitted documents, the cost of study and other services. 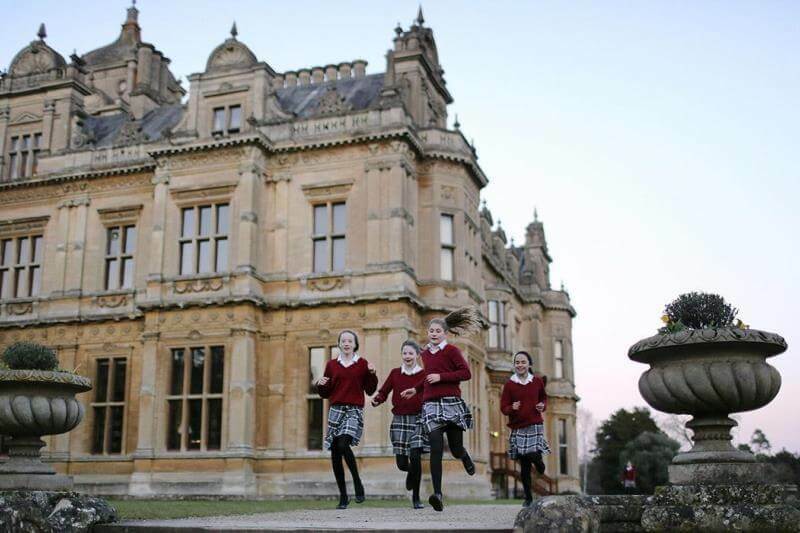 All these factors make up the rating of the school – the higher it is, the more prestigious the boarding school is. It is necessary to find out in advance whether the chosen boarding school is accredited in the US Citizenship and Immigration Service and has the right to receive international students. Preparation for admission to one of the boarding schools is best started in advance, about 1.5-2 years before the expected start of training. During this time it is important not only to choose a suitable educational institution but also to prepare for admission and further study. The process of submitting documents to the school is in many respects similar to the procedure for enrolling in an American university. Like any other educational institution, each class has its deadline, after which applications from entrants are not accepted. First of all, you must apply for admission to the school – application form. This form can be found on the school’s website, filled in and sent to the school administration online through the school’s website. Then follows the preparation of documents from the current school. The first is transcripts – a list of studied subjects, a detailed description of them, the number of hours for each of them for all passed classes. The second is letters of recommendation from teachers. This can be a letter from the class teacher and the director or the head teacher of the school or from the teacher of the discipline, the study of which will focus on the future school-boarding school. For example, if a student enters a school with a mathematical or natural science bias (boarding schools of Math and Science), letters of recommendation can be written by teachers of these subjects. All these documents must be drawn up on the official letterhead of the school with the seal and signatures of authorized persons. Essential documents for admission are the essay – Parent’s Statement and Candidate’s Statement. In Parent’s Statement, the student’s parents must answer the questions offered by the school in writing, outlining their thoughts, motivation and reasons why they want their child to study at this school. In the Candidate’s Statement, the school is waiting for answers to specific questions from the students themselves. What kind of questions the candidate will have to answer depends on the school. Sometimes these can be general questions affecting, for example, the interests and hobbies of the student, and sometimes these are suggested topics for the essay. In this case, it is enough to choose one of them for work. To enter the school, the international student will have to demonstrate his level of English language skills, sufficient for living and studying in the United States. As a rule, this is a certificate of passing a TOEFL exam with a high score. Applicants on admission will also have to pass SSAT – Secondary Student Admission Test – one of the standardized tests developed for high school students. Education in private boarding schools is costly. Of course, the amount will vary, but, in general, it is comparable to the tuition fee in an American university. The tuition fee includes the cost of accommodation, meals, teaching materials and other services that the school provides. Despite this, some boarding schools annually provide merit-based and need-based scholarships, available, including, to international students.